This giveaway has ended. Please check out our newest giveaway by clicking on the label GIVEAWAY on our right sidebar. We typically start a new giveaway every Monday. Enter to win your own Spa Factory set after you read our review! Find out how to win at the end of this post. 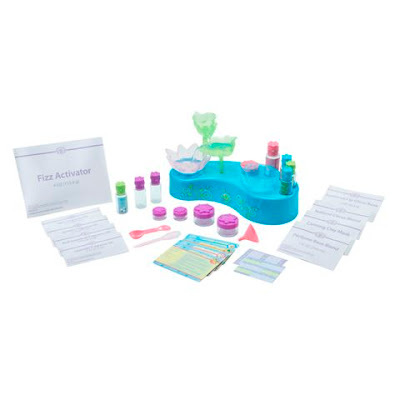 JAKKS Pacific gave us a Spa Factory to review and since I have a one year old little boy who isn’t really suited to this product, I had my favorite 8 year old little girl, Riley, come over to help me test it out. The Spa Factory comes with everything you need to make your own perfume, lip gloss, facial masks and bath bombs. It also comes with an aroma therapy fountain! If you have an impatient little girl, I suggest you set up the Spa Factory before hand. As is common with toy packaging, just unwrapping this set and getting it out of the box is time consuming. First we set up the aromatherapy fountain so we could relax while we made our lip gloss and perfume. We added some water and selected our fragrance and turned it on. It smelled great but the noise was a little less than soothing. Still, it was a neat addition to our spa experience. Next we mixed up our lip gloss by following the easy directions on the recipe card (included). It made a cute little pot of lip gloss that smelled yummy. Then we concocted our perfume by adding essential oils to a perfume base, mixing it up and putting it in a little perfume bottle. To finish up, we made labels for our products out of the little sticker labels that came with it. 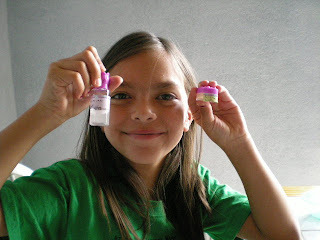 Riley had a lot of fun concocting her very own spa products. She was so excited at how they came out that she wanted to open her own business and sell them to her friends! I suggested that with Christmas around the corner, they might make perfect little gifts. Spa Party Sleepover for 3 Playset-includes a stylized, fold up party box with storage drawers and carrying handle filled with the yummy “Strawberry Swirl” essential oil collection, sugar scrub, lip gloss and perfume base, plus all the supplies needed to make a great Spa Factory gift pack. Suggested retail $19.99. Jakks Pacific was generous enough to allow us to give one lucky reader their very own Spa Fantasy Playset. To enter to win just leave us a comment telling us which of the four spa items in the kit you think would be the most fun to make. You have until Friday September 19th at 11:59 pm to enter. A winner will be selected by random number generator and announced on Saturday. They will be notified by email and have 48 hours to respond with their mailing address or another winner will be drawn. Have your own blog? 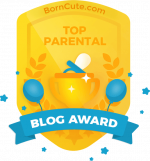 Earn an extra entry by blogging about this giveaway. Leave a seperate comment telling us you did so-please include the link! IMPORTANT: Please be sure to leave an email address so that we can contact you should you be the lucky winner (it will not be used for any other purpose). has anyone experienced losing all their ECBs? i lost my coupon + ECB portfolio last sat! I left it on the cart and my hubby didn’t know and pushed the cart back after i made the purchase. I usually grab all my stuff with me at the end, but this time, the cart was not there next to me and i wasn’t awared that i didn’t have my portfolio. After couple of hours, i went back to the store, but the portfolio is gone. I figured if anyone saw it, they would have kept it as they see so many coupons and deals in there. Do you know if there’s a way for me to get those back? as in call the store to see if anyone is trying to use my ECB by tracking my CVS card #? there is about $90 worth of ECBs in there!! :'(…someone help!!! My daughter would love the Sleep-over for 3 playset. Thanks for the giveaway. My daughter would love the sleepover set.And I think it would be fun too. I would love to make the bath bombs, I love using them, so I bet making them would be even more fun! Thanks for the giveaway! I think the lip gloss would be very fun to make! The bath bombs would be fun to make! My daughter just loves lip gloss. I think we would have a ball making that together. I think making the lipgloss would be fun. My daughter would love this Spa set especially making the perfume. My daughter would love all of these, however I think she’d want the Comfort Collection first. 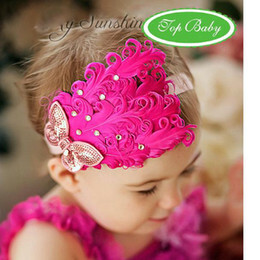 How cool, what a great product for girls! The bath bombs sound awesome! the sleepover set would be wonderful! My nieces would love this. I think the lip gloss would be fun to make. I know my little girl would go crazy over the lip gloss. She loves the stuff. But that’s a 7 year old for ya! No really my niece suffers from bad Psoriasis, so I think the best one would be the Spa Factory Lip Blends. OMG, she will love her Aunt Kissy. thanks for showing me this. if I dont win, this is Christmas for all my nieces! I think the perfume would be fun to make. It would be interesting to see what smells you come up with. Thanks!! I think the bath bombs or the lip gloss would be so much fun to make! My daughter and I would have a lot of fun making the bath bombs. The site isnt working yet, but I know my daughter would absolutely love to use this. She’d like to make the bath bombs Im sure!! I think the Spa Factory Perfume Scentsations would be fun to try out. My three girls love to smell good so this would be a huge hit. I think it would be a lot of fun to make your own bath bombs. Thanks! The bath bombs sound super!!! Thank you kindly for the chance to win!!! My daughter must put it on a hundred times a day. I know she would get a kick out of making her own. It would be perfect!! My daughter would love to make the bath bombs!! She loves to add things to her bath water. Sometimes its hard to convince her it’s time to get out of the tub. This is one of the best giveaways I’ve seen yet!! Really looks like a fun set. Thanks for the informative, honest review. I find that its good to get things out of the box due to impatience too. I think I’d most like to make the perfume as my daughter constantly wears mine! – so she’ll have her own then. HI, whilst loving making the perfume and lip gloss, I’d enjoy the labels, I’m into all cutesy and crafty. I am a SAHD so making this with my girl would be a cool chance to bond. I think (KNOW) that she loves lip gloss, so I think that would be fun to make with her. THanks for the sweeps. Good luck to all. I would definitely want to try the bath bombs. That is one of the few splurges the kids get regularly. I think the lip gloss would be so much fun to make. I remember doing this when I was little and I know that my daughter would enjoy it. My daughter would love this, especially the perfume-making. 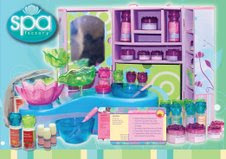 The Spa Fantasy playset is the centerpiece of the Spa Factory line and has a real, working Aromatherapy Fountain. My girls love it! Two big thumbs up for Spa Party Sleepover for 3. What a great idea, I have 3 girls who would have a blast with this, not to mention mom too. I have two daughters who are addicted to lip gloss, so they would love this! Making your own bath bombs sounds fun! The bath bombs sound fun to make! My daughter would so love this! Her Aunt just took her to a spa for the first time, over the summer (and here I’ve never been to one lol). Anyway, that’s all my daughter spoke about for ages. I think that she would really like making the bath fizzies the most. But the whole package sounds like she would have so much fun with this. Thank you for offering this wonderful giveaway. The perfume making looks like the most fun. But everything in the kit looks fun. What a great gift idea for girls. Making the lip gloss would be a fun activity for a birthday party. This sounds great for my young cousin! I think the perfume would be the most fun to make. My grandaughter would love the “Spa Factory Lip Blends”. We can’t go past any makeup aisle with her grabbing a lip gloss! She would be in heaven! thanks so much for the giveaway!!!! I think it would be fun to make the lip gloss with my little niece! I have a lip gloss girl. She doesn’t go out without it…. so it would be SO fun for us to make it! My daughter would love to make her own lip gloss! She loves being a girly girl!! I thinking making the bath fizzy powder in Lavender, perfume base in Jasmine, oat mask, and lip gloss base in Pink Grapefruit sound fun to make. Definitely the sleepover set one! I think making facial masks would be great fun. My niece would love the lip gloss. Thanks for a great giveaway! perfume, lip gloss, facial masks would be really fun to make. My daughter would enjoy making the lip gloss. I think the lip gloss would be the hit over here! The Bath Bombs look like a blast! Definatel the Lip gloss… my daughter is in love with lip gloss. Great Giveaway! Inside of my daughter lies a mad scientist, she would love this, probably the bath bombs the most. Thanks so much! with me, it is a toss up. 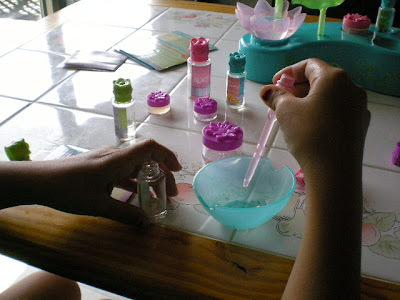 I think my daughter will enjoy making lip gloss and perfume, because she is so into everything girly right now. She gets into my perfumes and sprays them on before she goes to school, and I can’t tell you how many times she has come out of the bathroom with a little more “shine” on her lips than natural! She loves to experiment with colors and scents, so she would love something like this! Lip gloss would be the most fun! Cute!! The bath bombs and lip gloss look like fun. They would make a perfect Christmas gift. I would love to make lip gloss with my neice and daughter. Too cute! My daughter would love this, especially making the bath bombs. She would get a real kick out of making them herself and then hopping in the tub! Making Bath Bombs would be a fun activity. My niece would love to be able to make her own lip gloss. My little niece would LOVE this playset! I bet making the aromatherapy would be great to make! My daughter would LOVE to make her own lipgloss! I think the lip gloss would be fun to make! I think it would be fun to make some perfume with my daughter and niece. I think the lip gloss would be the most fun for my dd to make. Oh My Gosh!!! Could that set be any cuter?? It’s every little girls dream fantasy to get all dolled up and the fact that they get to make the stuff themselves is just too cute. I have two girls that are VERY girly and would love everything this has to offer, especially making their own perfume and the aromatherapy fountain. What a great idea! They’ve thought of it all! Thanks for the opportunity! I know my daughter and I would really enjoy making these bath bombs together! I think the bath bombs would be fun to make! I asked my daughter which one she would want to make and she thought that the perfume sounded like fun. She is constantly asking “to smell like mom” and now she could have her very own spray. How much fun! The sleep-over kit for 3 also sounds like a lot of fun. Thanks! I have twin daughters that would love this! We would like to make any of the lipglosses. Thanks! oh do I have the girl for this!! She would love to make the bath bombs and all the other stuff too… as it is, i find her making “potions” with my lotion, shampoo, etc. for the bathtub!! This is really neat. I especially like the lip gloss. I think the perfume would be fun to make! Ok,Ok, I gotta get in on this one! I know the girls would love the lipgloss and my oldest would prob prefer the the bathbombs! My little princess really likes to wear masks, so I think she would enjoy making the oat mask. She also likes lip gloss a lot, so that would be a hit as well. Thanks for the giveaway! bath fizzies would be fun to make and use! The sleepover playset for sure! A little science and a little love and you have spa! Lip gloss. My little one loves it. I can’t decide if the face mask or bath bombs would be more fun. My daughter loves putting the bath bombs/fizzies in the tub with her. And for her 8th birthday we had a spa party and the girls were laughing so hard at the site of themselves with the masks they made and used! This would product would be great and if I don’t win I will probably end up getting it! Not to say I wouldn’t rather win it! My two daughters would love the SPA Bath essentials. They love anything that is very girly. Making your own special perfume sound like fun. What a great idea my girls would love this. It would be fun to make the bath bombs. I think the bath bombs sound great!! What a great product idea. I love the idea that its a girly thing that a mom and daughter can do together!!! I think that the Bath Bombs would be so much fun to make. I think we would have the most fun with the lip gloss! My daughter would have a blast making perfume. This would be a great set that she would enjoy a lot. The lip gloss would be the coolest. What a cool giveaway!! The bath bombs sound fun. My daughters would love making all of the items but mostly the perfume. Great giveaway! Bath Bombs! My teen daughter would love to make all of the stuff. The kits sound like they are a lot of fun. I’d think I’d most enjoy the sugar scrub, bath bombs, lip balm and mask. I have three daughters and i think this would be the hit gift at Christmas. WE would I think love making the lipstick the most but it all sounds so fun! My daughter and I would love making all four items, but making the lip gloss would be the overall most fun! My daughter would love the sleepover set. My favorite is the perfume! I’d love to make the lipgloss with my nine year old daughter and her ten year old cousin! Girl party! Since moving to a new home she’s been pretty lonely. This would cheer her up. Thank you so much! The Lip Blends would be a hit with my granddaughter! I think the perfume would be fun to make. Thank you for having this! My daughter would like the Spa Factory Lip Blends. She loves lip sticks and is always sneaking mine 😉 Thank you! I think the bath bombs would be fun to make- I’d love to have my niece over for a spa day! The lip glosses, my daughter loves trying different flavors and this would be fun to do together! Thank you for the chance to win! We love lip gloss, so that would be our favorite to make!! I think the perfume would be the most fun to make. Bath bombs are such fun. I think the bath fizzies would be really fun to make! These sets are really cute! I think the perfume would be most fun to make. I have always wanted to make my own perfume. This would make a great gift for my cousin’s daughter who is 9. I really hope I win. This is a great giveaway. Thanks. I absolutely love this set. I think the lip gloss would be the most fun to make. The lip gloss would be the most fun to make. Thanks!! I love the Spa Factory Lip Blends,that would be so much fun. Count me in to win this great spa. I think the perfume would be the most fun to make with my daughter because she is obssessed with smelling pretty and girly 🙂 Thanks for the chance to win. The sleep over for 3 playset would be perfect for my daughter! Definitely the lip gloss. My duaghter is OBSESSED with lip gloss. The bath bombs! they look like they’d be loads of fun to make then use! Thanks for the contest! Lets see out of the 4 I would choose the lipgloss would be the most fun to make. My daughter is almost 3 & she would love to make lippie gloss!! I think that the bath bombs would be the most fun for my kids to make. My niece would love to make all of the things but I think if she had to choose one it would be the Spa Factory Perfume Scentsations. Definately the perfume! What a fun set! I would love to use this with my little girl! She loves to dip into my lip gloss. She’d love this! i think it would be so much fun to make my own lip gloss that would be cool! I think Bath Benefits sounds the best of them. As I have 2 boys, my nieces would love this! This looks so cute! I think the lip gloss would be my favorite since I love anything for the lips my 10 yr niece would love this! I think the bath bombs would be the most fun to make! my 2 kids would love the spafactory they bragged me 4 it. and its fun.there nanes r amy and stacy. This product was recalled today because the jars can explode — causing injury. You can contact Jak for replacement lids with vent holes. I THINK THAT EVERYTHING WOULD BE FUN!